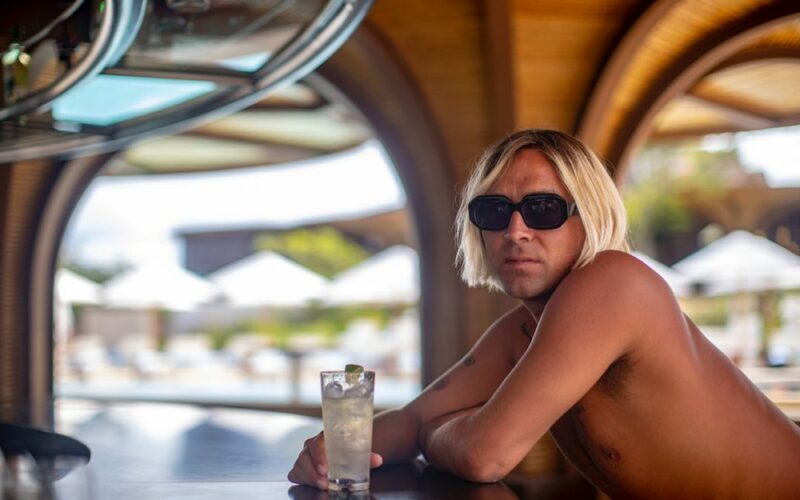 If you check out Instagram frequently, you’ve probably seen the collaboration between RVCA and W Hotels, which features RVCA advocates exploring surf spots and other experiences at select W Hotel locations. I was intrigued by campaign, especially how it reached outside the industry but still felt authentic. 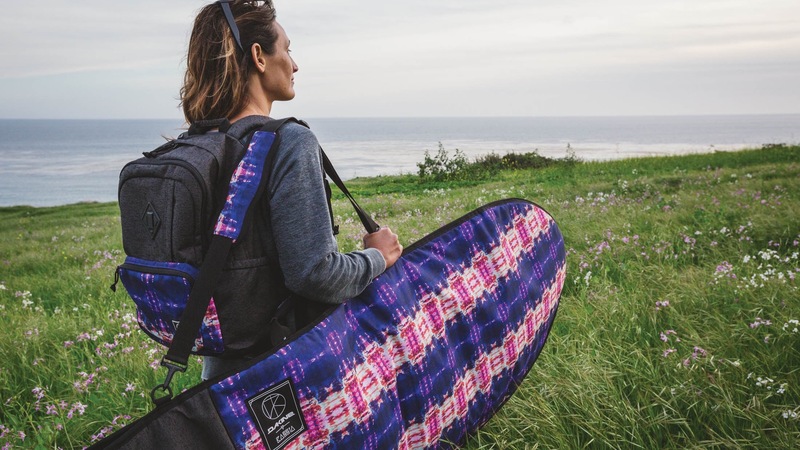 So I followed up with RVCA VP of Marketing Brian Cassaro to find out more. 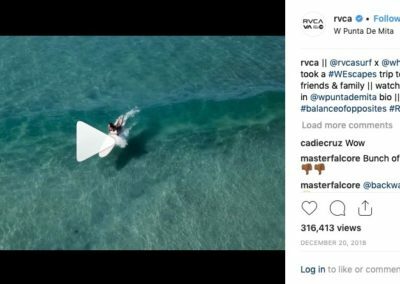 Since the campaign launched on Instagram on Dec. 18, it has had 2.6 million views on the W Hotel feed and 316,000 views on RVCA’s. The full video edit has 425,000 views on YouTube. See the full video from the campaign here. 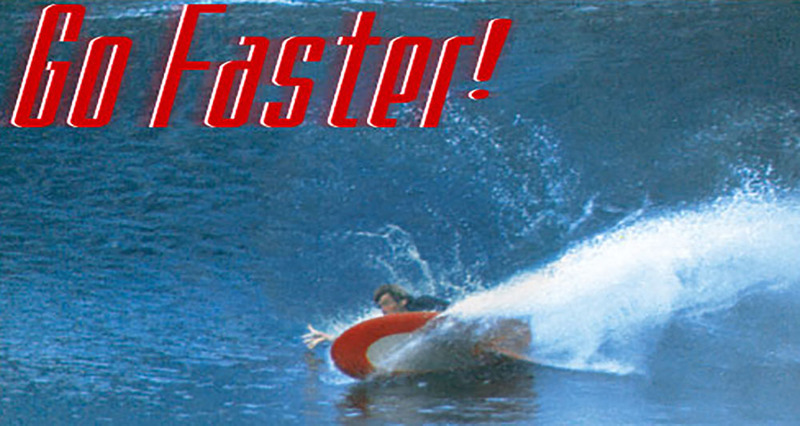 Brian Cassaro: It came from LinkedIn. 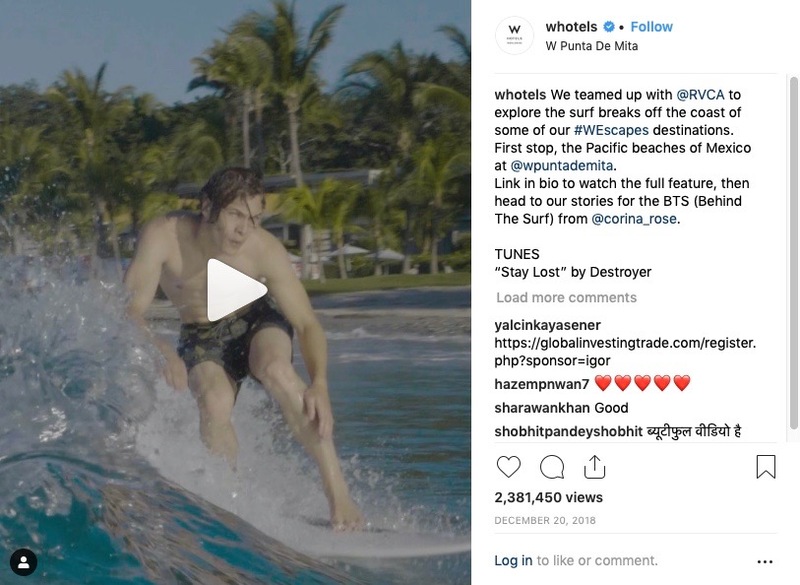 The team at W Hotels reached out to some brands and they were candid about being in discussions with some of our competitors. 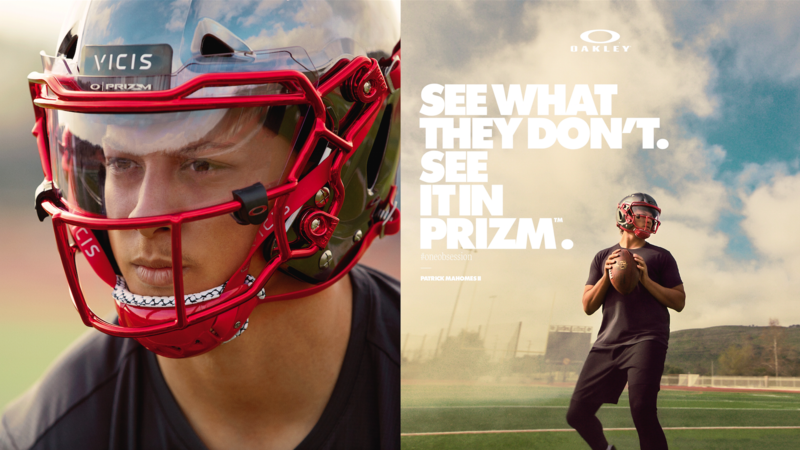 They approached us with their objectives and we agreed to work with them as long as we could use our brand lens to tell the story. 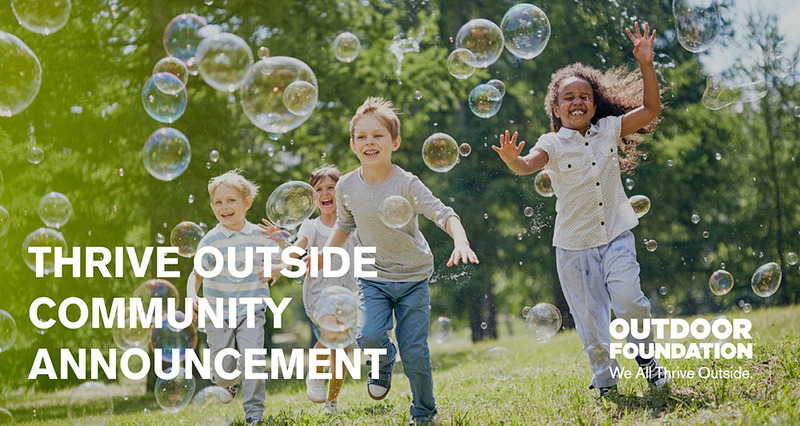 We all agreed that was the most authentic way to share the content and the partnership was born. What did you focus on for the videos? 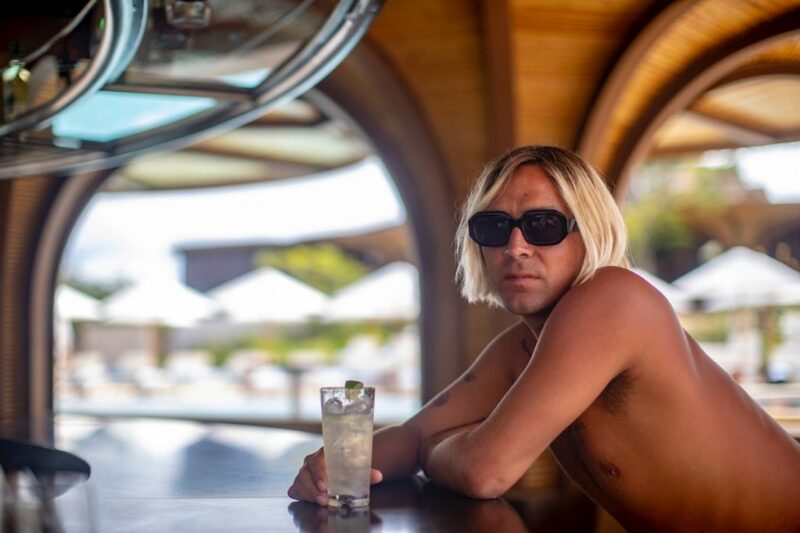 Brian Cassaro: A mix of everything – local cities and culture, the hotel, and most importantly, we showcased the fact that there are some great surf destinations around some of the W Escapes properties. 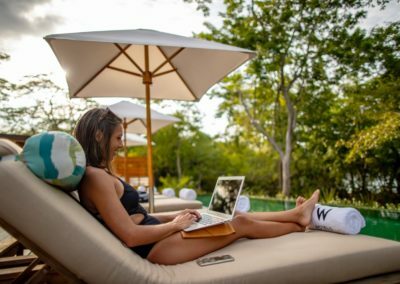 Their goal was to let their customers, and potential surf customers, know that you can have a high-end experience at the W Hotels and be on a surf trip, and that they can help you access everything you need. Brian Cassaro: As of now, the brand partnership could last indefinitely. The content partnership should last another six months or so. 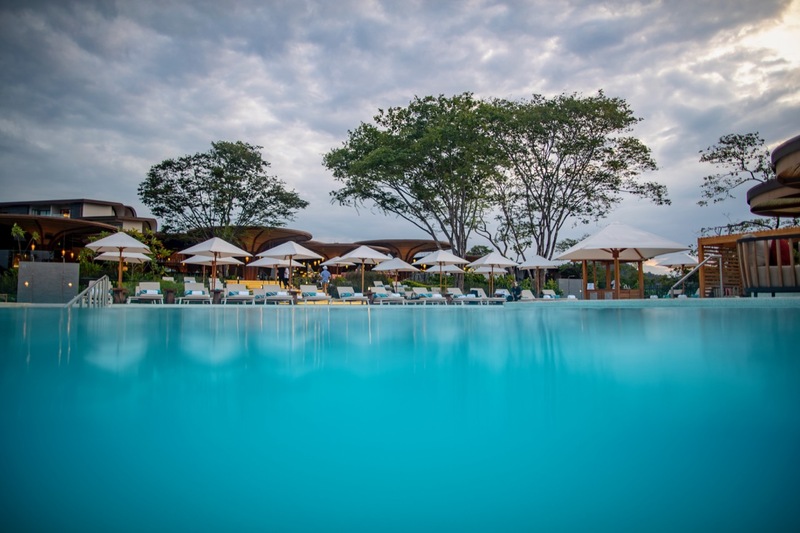 We are working on another edit showcasing the Costa Rica property and we have another trip or two in our future. 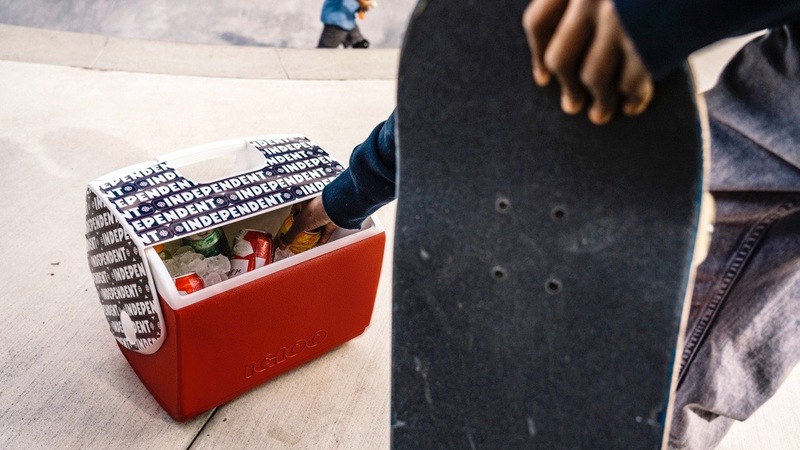 Why do you think it’s a good fit for RVCA? Brian Cassaro: While their customer isn’t our core consumer, we know that we have a lot of customers that fit their consumer profile. 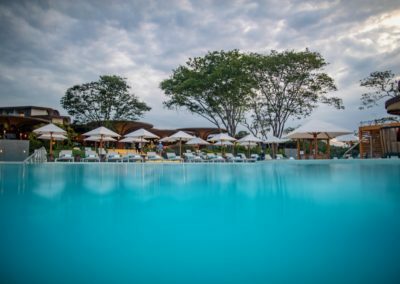 They treat their brand like we do ours – we both put brand first – and the trust we established between our brands as we executed the trips has been invaluable for the future partnership. They have been a great organization to work with and have similar values. Do you see more of these kinds of collaborations in the future? Brian Cassaro: Yes. 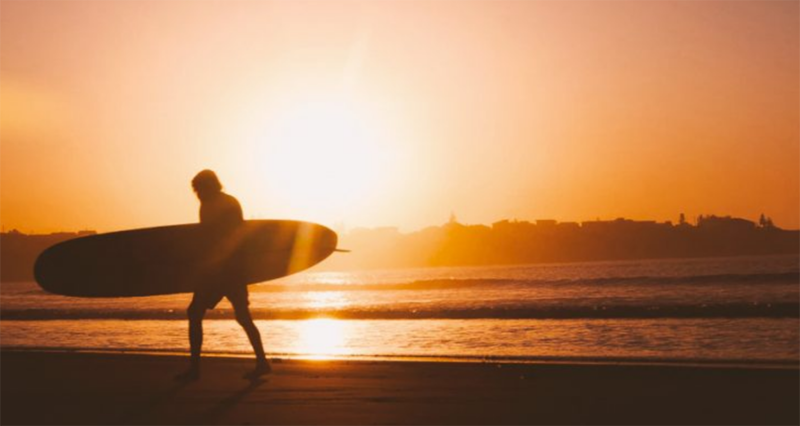 We are open to anything that makes sense for the brand and that gives us reach outside of the surf market. 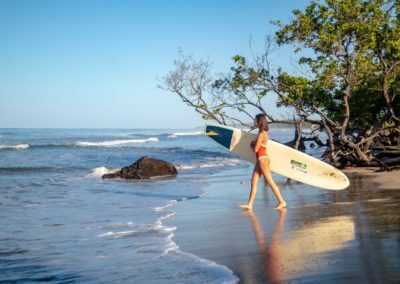 RVCA is built differently than a lot of brands in our space because we are more diverse and can speak to various audiences authentically. 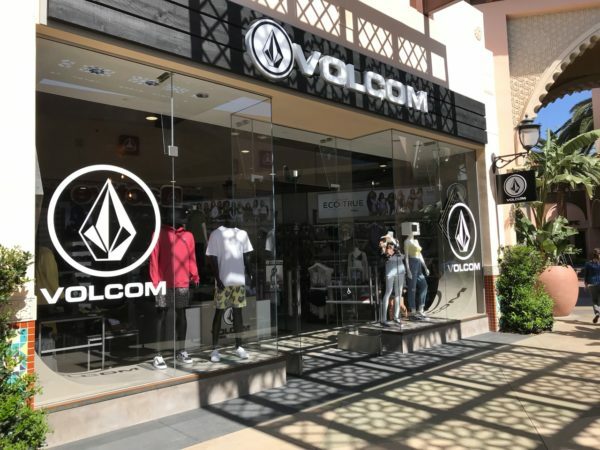 Similar to our city takeovers, this gives us reach outside of skate and surf so we can connect with more consumers and introduce them to the RVCA brand. Does the relationship extend to product? 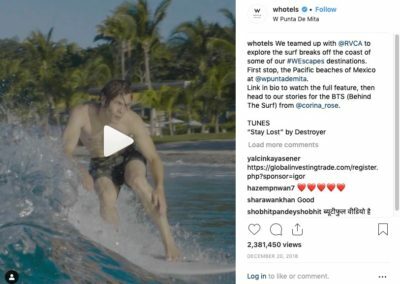 Meaning will RVCA have product available to buy at W Hotels? Brian Cassaro: The potential is there. 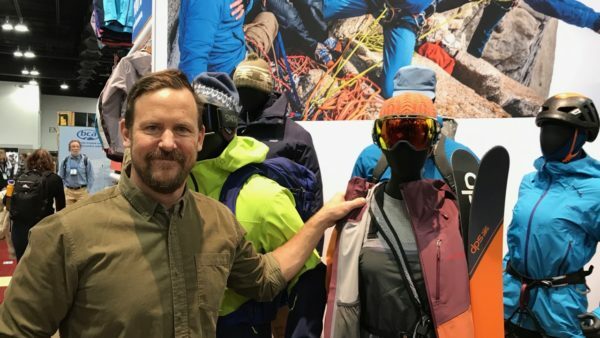 With our hands in surf apparel and sport, the retail opportunity is there and product collaboration isn’t out of the question. Both brands want to be sure that this is a partnership that is mutually beneficial. So far, it has gone very well and shows that there is opportunity to work more closely in the future.